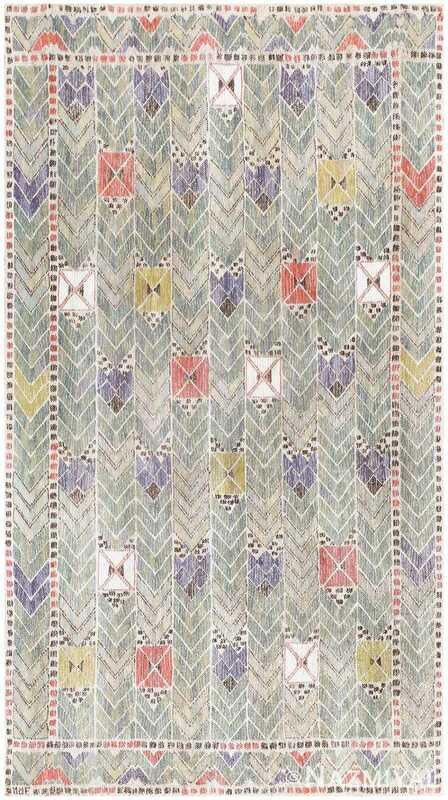 Vintage Swedish Tapestry by Marta Maas Fjetterstrom, Origin: Scandinavia, Circa: Mid-20th Century – This striking piece from mid-20th century Scandinavia incorporates chevron motifs and bright accents to lead the viewer’s gaze from location to location in a cheerful dance across its surface. 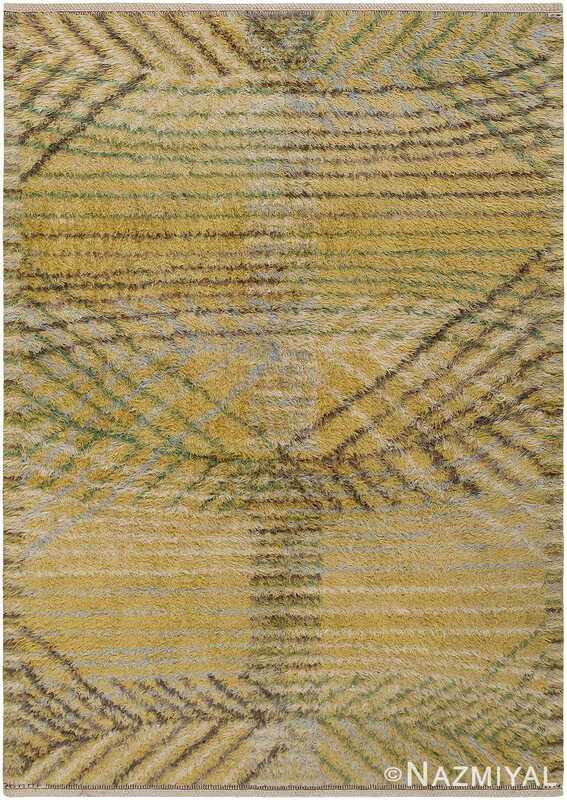 A border of black and red dotted lines is bounded on all sides of the rug, containing the gently marching lines of chevrons that are interspersed by brightly colored squares. The squares that are interspersed within the rows of chevrons serve as resting points in the constant gentle stream, idle islands of interest and bright colors in a sea of coolness. 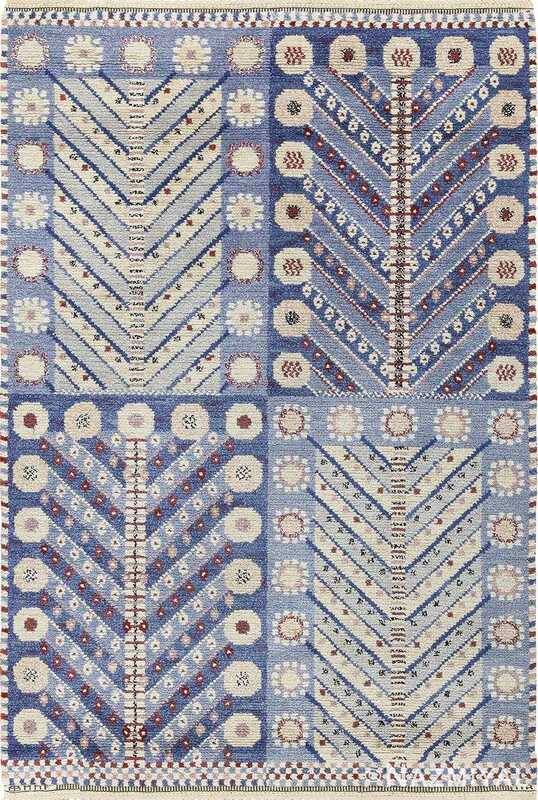 This carpet is a lovely example of the work of Marta Fjetterstrom, demonstrating her skill at arranging patterns and playing with color. 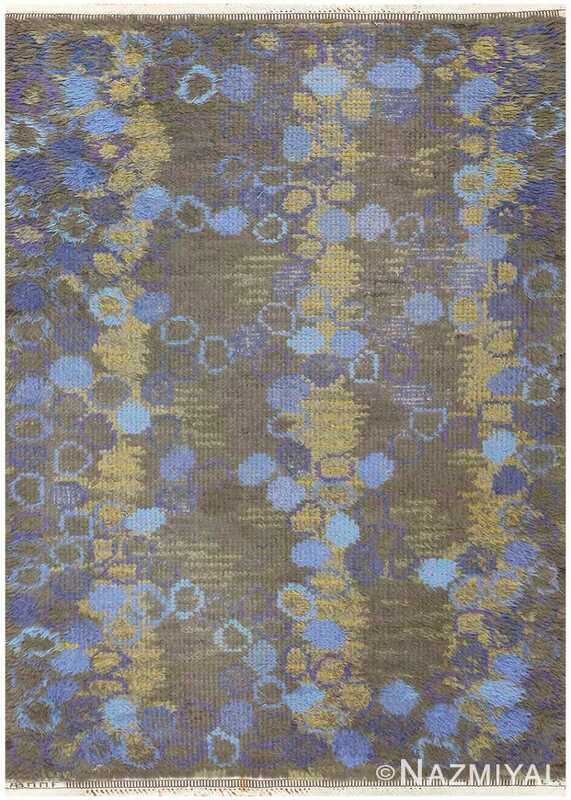 A lovely Swedish piece, this rug is an enamoring composition.